Nelson Ireson September 19, 2012 Comment Now! 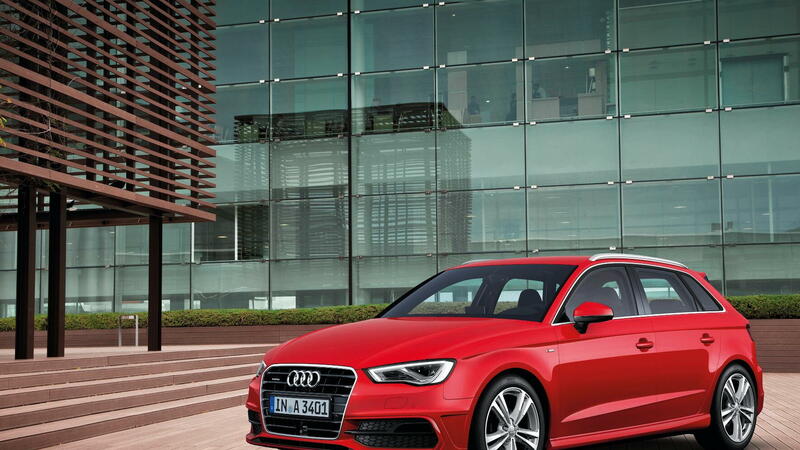 After tracking the new Audi A3 Sportback's progress in spy shots since this summer, we now see the official production version--but we won't get this car here in the U.S., according to Audi USA corporate communications manager Brad Stertz. 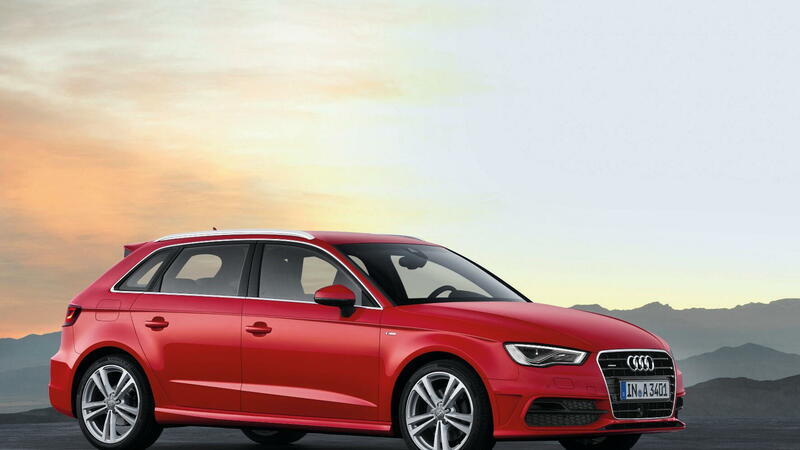 Instead, we'll get the just-for-us A3 sedan. European engine options include a 1.2-liter TFSI, a 1.4-liter TFSI a 1.6-liter TDI, a 2.0-liter TDI, and a 1.8-liter TFSI. The latter two are the most interesting, combining a fair amount of sport with a reasonable degree of efficiency. The 2.0-liter diesel generates 184 horsepower and a stout 280 pound-feet of torque, certainly enough to feel peppy and quick on wide-open American highways, with a stated 0-62 mph time of 7.4 seconds. It's fuel-efficient, too, at 54.7 U.S. mpg. The 1.8 TFSI gasoline engine rates 180 horsepower and 184 pound-feet of torque, somehow enabling a slightly quicker run to 62 mph of 7.3 seconds, while still scoring 42 U.S. mpg. Gear changes are handled by either a manual six-speed transmission or a dual-clutch option with either six or seven gears, depending on the engine pairing. 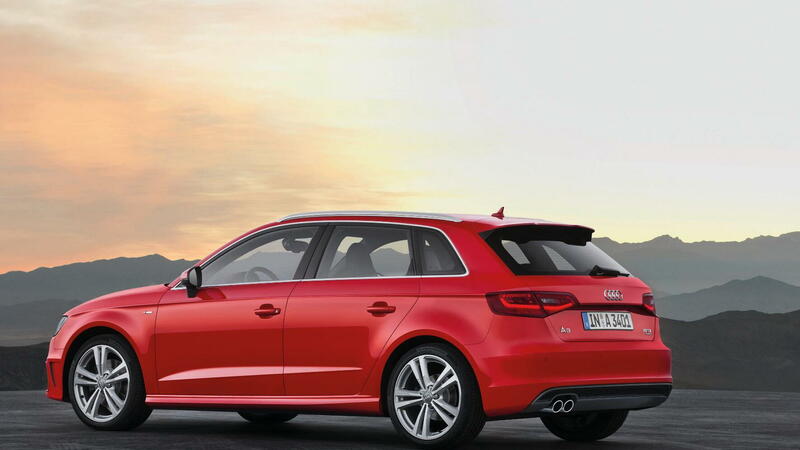 The real hook with the A3 Sportback, however, is the five-door utility that's packaged around these engines. If the form factor sounds familiar, that's as it should be: the car we know simply as the A3 is very similar. 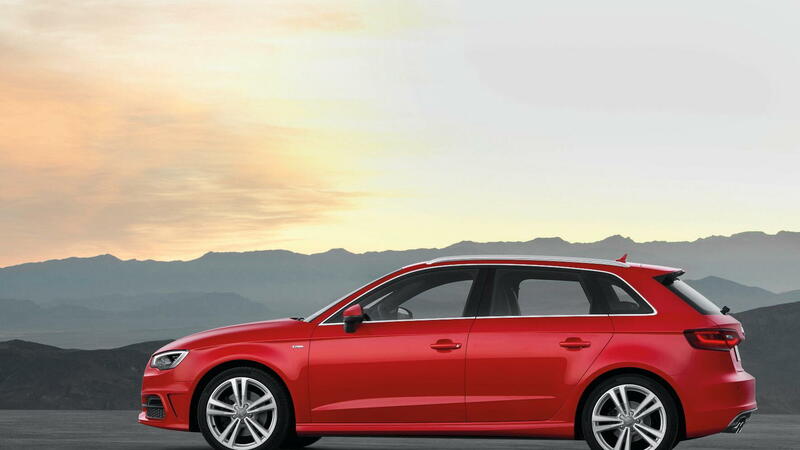 This new version, however, is up to 188 pounds lighter than the previous five-door A3, weighing in at just 2,656 pounds--a stunningly light figure for a car of its class; that's lighter than the Scion FR-S.
Audi gets there with the A3 Sportback through the use of high- and ultra-high-strength steels and aluminum body panels and castings. 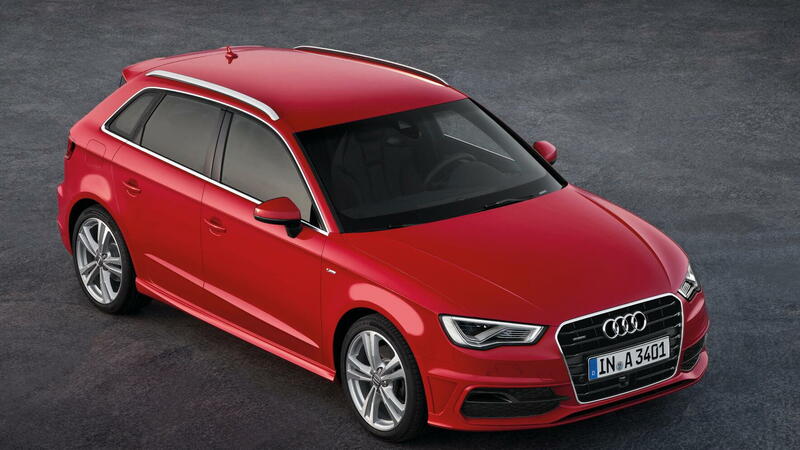 Improving efficiency isn't all about shedding weight, however, and the new A3 Sportback gets a drag coefficient of 0.30--fair, but not amazing--to help it ease through the air. For those with sport on the mind, however, a pair of sport suspensions offer 15 or 25 mm lowering, respectively, and presumably stiffer roll rates and improved damping. In the console, Audi's latest MMI system handles the media and navigation functions, powered by an Nvidia Tegra 2-series T-20 graphics processor. Displays of either 5.8 inches or 7 inches are available with MMI. The top version of the system includes 60 GB of onboard storage for music, a DVD drive, and "whole-word" voice control. An optional Bang & Olufsen sound system rated at 705 watts through 5.1 channels over 14 speakers offers a step up for the audiophiles. We could go on about the A3 Sportback's Audi Connect WLAN hotspot features, Google Earth access, or cloud-based "Picturebook Navigation," but it would only get us riled up for what we can't have. File this one under Forbidden Fruit.